Recorded at the 59th—and final—concert in John Eliot Gardiner's triumphant year-long adventure, soloists Katharine Fuge, Gillian Keith, Joanne Lunn, Daniel Taylor, James Gilchrist and Peter Harvey perform the cantatas for the Sunday after Christmas. When we embarked on the Bach Cantata Pilgrimage in Weimar on Christmas Day 1999 we had no real sense of how the project would turn out. There were no precedents, no earlier attempts to perform all Bach’s surviving church cantatas on the appointed feast day and all within a single year, for us to draw on or to guide us. Just as in planning to scale a mountain or cross an ocean, you can make meticulous provision, calculate your route and get all the equipment in order, in the end you have to deal with whatever the elements—both human and physical—throw at you at any given moment. Manhattan was magical in the first serious snowfall it had experienced in five years. It was New Year’s Eve and the festively lit trees in Park Avenue were weighed down with snow. Bach’s great double-choir motet Singet dem Herrn (BWV225), with which we began our 59th and final programme of the pilgrimage, refers to the cutting wind which can wither grass and cut off life, and the temperature outside the church had fallen to minus 10 degrees. But then this is the time of year when vegetative growth habitually comes to a standstill. There is a direct parallel here in the way religious (and not just Christian) belief sees this darkest moment of mid-winter as a period of suspended animation and so an auspicious time to reflect on the fundamental mysteries of existence. Bach captures that mood most poignantly in the contemplative middle section of his motet. The atmosphere in St Bart’s was exceptional, the packed audience rapt and mercifully cough-free. The mood of the choir and orchestra was a strange mixture of fragility and elation, as though the huge effort of reaching the finishing post had brought all the pentup emotion to the surface. It found release in the joyous, spirited singing of the outer sections of Singet dem Herrnwith strong emphasis on ‘ein NEUES Lied’. The engagement, zest and sense of complicity amongst both the singers and players was palpable, a climax to a year-long venture in which new friendships had been formed and cemented through collective experience. Edward Said said to me afterwards that the performance of the motet was for him the high point of the evening. For others, though, it may have been the first cantata we performed, BWV152 Tritt auf die Glaubensbahn. It really is a minor miracle, this intimate chamber piece for just two singers (soprano and bass) and six instruments (recorder, oboe, viola d’amore and viola da gamba, with cello and organ continuo), to which we added a seventh (a harpsichord) in the final movements. The Lutheran liturgy for the Sunday after Christmas distances itself from the mood of the incarnation and anticipates Christ’s coming Passion, crucifixion and death. Salomo Franck’s libretto is based on the contrast of opposites: it focuses on the image of the stone, the cornerstone of faith set by God in Jesus’ incarnation, but also the stumbling block to human inclination. Bach’s setting makes much play of this duality, humanity’s initial fall and the need for spiritual abasement on the one hand, the triumph of faith and the soul’s attainment of the crown as the terminus of the ‘Glaubensbahn’ on the other. Right from the off, in the four slow introductory bars leading to one of the most spirited and purely instrumental of fugues (a rarity in Bach’s cantatas), one senses Bach’s purpose in pitting four such distinctive instruments against each other and the pleasure he takes in the mixing and blending of colours. All his youthful fantasy, his eagerness to experiment, as well as an already formidable command of counterpoint, are brought into play here. 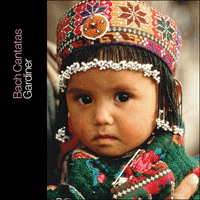 Bach shapes his cantata as a spiritual and musical journey. First, we are urged by the bass soloist to step onto the path of faith (No 2); then along the way, either side of the soprano’s aria which venerates the stone of faith (No 4), we are given stern admonitions, a warning of the fate of the ‘wicked world’ as it ‘stumbles over it into hell’ (No 3), and a denunciation of worldly wisdom (No 5). In the face of faith, reason has no persuasive power or strength. The heart needs to turn towards holy unity, symbolised by Bach in the convergence of his four chosen instruments as a foil to the dialogue between Jesus and the Soul. Achieving a convincing balance between the forward-moving, gigue-like melody of the four instruments and the space needed by the vocal lines to encompass the text is just one of the interpretative challenges of this intriguing cantata, a gem along with those other precious survivors of Bach’s later Weimar years (1714-17). Yet who really knew these new works in Bach’s day outside the immediate court circle? To his peers and contemporaries he was recognised primarily as a virtuoso organist and then as a composer of instrumental music. Whatwere they missing, and how many other vocal works from these years have been lost to us—perhaps more than 50%? The most likely explanation is that they were impounded by Weimar’s cantankerous duke when he locked the door to the organ loft where Bach kept his scores, and threw him into jail a month before his departure. A similar injunction to render thanks to God for all the good things experienced in the course of the year lies at the heart of the cantata Bach composed a year later as part of his third Leipzig cycle: BWV28 Gottlob! nun geht das Jahr zu Ende, a fitting title to sum up the parallel sense of loss and fulfilment, relief and regret within the group at the very end of a yearlong life-changing experience. The cantata begins as a spirited concerto-like movement with an antiphonal deployment of oboes and upper strings providing a backcloth to the soprano’s dance-like call for a song of thanks. That song of thanks (‘Danklied’) is none other than the motet ‘Nun lob, mein Seel, den Herren’, which I had first learnt as a seven-year-old treble at a German summer school directed by a once-famous German choral conductor, Georg Götsch, then very frail. We sang it every day for a week, and I think I was profoundly bored; but half a century later I found myself galvanised by its stile antico sobriety and complexity, its buried treasures and subtleties, especially those that occur in its last fifty bars, in which you sense some immense cosmic struggle being played out. I fear the choir, too, may have been bored during rehearsal; but in performance, with the vocal lines doubled by strings, oboes, cornetto and sackbuts, they rose to the occasion in this penultimate Te Deum laudamus of the Pilgrimage. I found it immensely stirring. After that great chorus the remaining movements inevitably come as a bit of an anticlimax. Fine though the tenor accompagnato (No 4) and imitative duet for alto and tenor (No 5) undoubtedly are, it is the concluding chorale which makes the strongest impression. Paul Eber’s New Year hymn ‘Helft mir Gotts Güte preisen’ has cropped up several times in the course of the year, but never so powerfully or so movingly as in Bach’s harmonisation of this prayer for protection and sustenance in the year to come. In many ways it felt appropriate to be ending our Pilgrimage here in New York in the snow and on the cusp of the turning year. Anywhere in Germany it might have felt repetitive, inviting comparison with Weimar from where we had set out the previous Christmas. Anywhere in Britain people might have been inclined to sit at home around the Christmas tree or in front of the telly. Here, on the other hand, was a new audience won over for Bach’s prodigious cantatas, and a challenge met by this hand-picked, travel-hardened team of pilgrims, who through an intensive, year-long exposure to this music had made such impressive individual and collective strides. The music we had spent a year grappling with is technically challenging: it is often a high-wire act demanding phenomenal precision, flexibility and virtuosity, as well as a responsiveness to your fellow musicians. It requires you to soak yourself in the idiom, and you need ‘Bach miles’ on the clock before you feel able to interpret these cantatas with relative ease and full conviction. Nowhere was this more apparent than in the final cantata of the tour. BWV190 Singet dem Herrn ein neues Lied!, composed for New Year’s Day 1724, has come down to us in fragmentary form, at least as regards its first two movements, of which only the voice lines and the two violin parts have survived. All the remaining orchestral parts have to be reconstructed. Various attempts have been proposed and printed, none of them wholly convincing and some not very idiomatic. At least it is possible to extrapolate Bach’s intended instrumentation for the opening movement from the extant scoring of the final chorale. Everyone got to work, our two brilliant keyboard players, Howard Moody and Silas Standage, taking the lead filling in the missing figured bass lines with minimal fuss. Right up to the last moment in rehearsal we were adjusting new instrumental lines for the three oboes, three trumpets and timpani. With more time and skill we might have made a better job of it, but when it came to the performance all the singers and players seemed intent on capturing the infectious joy and festiveness of this ebullient New Year piece. And of course the psalm text being almost identical to that of the motet we had sung at the start of the programme gave it added spice. Between the psalm verses Bach inserts two lines from Luther’s vernacular version of the Te Deum (1529). These he assigns to the traditional liturgical plainchant delivered in long notes by the choir in octaves, a technique of musical relief of which he was a master—and which is hugely imposing in performance. Luther’s clauses return, this time harmonised, in the litany-like second movement with ‘troped’ recitative interpolations for the three lower soloists. There is a dance-like aria in triple time for alto (No 3), to which we added the three oboes to double the homophonic string lines prompted by the plausibly secular origin of this fandango-like movement. But the pick of all the movements is the tender duet for tenor and bass ‘Jesus soll mein Alles sein’ (‘Jesus shall be my all’). Here again there is a problem: the sources offer no clue as to what instrument Bach intended for the ravishing obbligato, one which shares only the opening phrase, heard no less than six times, with the voice parts; for the rest it is made up of chains of wistful, gestural arabesques bouncing off a silent main beat. We experimented with oboe d’amore and then violin and found that it lay uncomfortably low for both instruments. Then remembering the viola d’amore called for in BWV152, I asked Katherine McGillivray whether she would be willing to try it out. At first she demurred: her instrument was tuned to A = 392 and it would entail either playing in E flat major (with no open strings) or of tuning up. But when it came to the concert, and accompanied by her sister Alison on cello, Katherine brought just the right meditative and elegiac mood to this touching duet, sung with amazing restraint and control by James Gilchrist and Peter Harvey. In the end I had no hesitation in choosing this movement as our (second) encore. So the very last notes of the Cantata Pilgrimage, with everyone choked and fighting back the tears, were of Katherine’s hauntingly beautiful viola d’amore. With the Gospel reading (Luke 2: 21) for New Year’s Day focussing on the circumcision and naming of Jesus, every line of this duet begins with the word ‘Jesus’. Bach’s intent is clear: to call attention to the believer’s eschatological hopes of ending his life, as he begins and ends the year, with the name ‘Jesus’ on his lips. Just as he does in many of his cantatas written for other pivotal moments in the church year—Annunciation (BWV1), Easter (BWV31) and the beginning (BWV75, 76 and 20) and ending (BWV60 and 70) of the Trinity season—Bach gives particular emphasis, here at the turning of the year, to the cyclic course of life, the inevitable progression from beginning to end. In the duet this is what lies behind the reference to Christ’s forthcoming Passion, ‘Jesus helps me through His blood’, a shadow passing across the music and clearing only for the last line, ‘Jesus makes my ending good’. As Eric Chafe has noted, acceptance of the cycle of life and death was and is the most natural and inevitable of human responses to existence. By beginning and ending his New Year cantata in the key of D major Bach seizes on the most readily audible symbol to establish a solid framework against which the listener can measure the bumpy happenings and disturbances of the year gone by and the one about to begin. No doubt this was also his reason (as with two of his other New Year’s Day cantatas) for ending with a verse of Johannes Hermann’s chorale, ‘Jesu, nun sei gepreiset’. With its fourteen-line strophes this hymn is the perfect symbol of the span from Alpha to Omega, the journey from beginning to end and its resumption at the moment of the year’s turning. Manhattan était magique après la première chute de neige digne de ce nom que la ville ait connue depuis cinq ans. Nous étions à la veille du Nouvel An et les arbres de Park Avenue, illuminés pour les fêtes, ployaient sous le poids de la neige. Le grand motet à double chœur Singet dem Herrn (BWV225), par lequel commençait notre 59ème et dernier concert du Pèlerinage, fait allusion au vent acerbe pouvant flétrir l’herbe et couper net la vie, alors même que la température à l’extérieur de l’église était tombée à -10°. C’est l’époque de l’année où la croissance des végétaux se trouve comme mise entre parenthèses. Il y a là un parallèle direct entre la manière dont la croyance religieuse (pas seulement chrétienne) voit dans ce moment sombre du milieu de l’hiver une période d’animation suspendue et le moment, de ce fait tout indiqué, pour réfléchir aux mystères fondamentaux de l’existence. Bach saisit ce climat de façon extrêmement poignante dans la section médiane, contemplative, de son motet. L’atmosphère à St Bartholomew se révéla exceptionnelle; dans l’église comble, l’assistance, sans la moindre quinte de toux, était sous le charme. Le chœur et l’orchestre baignaient dans un étrange mélange de fragilité et d’allégresse, comme si l’immense effort consenti pour toucher à l’étape ultime faisait remonter à la surface toute l’émotion accumulée. Elle trouva à s’épancher dans le chant joyeux et vigoureux des sections extérieures de Singet dem Herrn («Chantez au Seigneur») tandis que l’accent était mis tout particulièrement sur «ein NEUES Lied» («un chant NOUVEAU»). L’engagement, l’élan et le sens de la complicité émanant aussi bien des chanteurs que des instrumentistes était palpable, point culminant d’une aventure d’un an durant laquelle des amitiés nouvelles s’étaient nouées, cimentées par l’expérience collective. Edward Said devait me dire à l’issue du concert que ce motet en avait marqué pour lui l’apogée. Pour d’autres, cependant, ce fut peut-être la première Cantate que nous avons interprétée, Tritt auf die Glaubensbahn («Engage-toi sur le chemin de la foi»), BWV152. Cette œuvre de chambre à l’esprit intimiste pour seulement deux solistes (soprano et basse) et six instruments (flûte à bec, hautbois, viole d’amour et viole de gambe; violoncelle et orgue pour le continuo), auxquels nous en avons ajouté un septième (clavecin) dans les derniers mouvements, est véritablement un petit miracle. La liturgie luthérienne du premier dimanche après Noël prend elle-même ses distances en regard du climat de l’incarnation et anticipe la Passion, la crucifixion et la mort du Christ à venir. Le livret de Salomo Franck repose sur l’affrontement des contraires: il se concentre sur l’image de la pierre—la pierre angulaire de la foi exprimée par Dieu dans l’incarnation de Jésus—mais aussi la pierre d’achoppement des penchants de l’être humain. Le traitement que Bach en propose exploite pleinement cette dualité: d’un côté la chute initiale de l’humanité et le besoin d’humiliation spirituelle, de l’autre le triomphe de la foi et la couronne qui au terme des épreuves ayant accompagné le «chemin de la foi» vient récompenser l’âme. D’emblée, dans les quatre mesures d’introduction lente conduisant à une fugue purement instrumentale des plus enjouées (une rareté dans les Cantates de Bach), on saisit l’intention de Bach—qui fait alors s’affronter quatre instruments—et le plaisir qu’il prend à amalgamer les couleurs jusqu’à ce qu’elles se fondent les unes dans les autres. Toute sa juvénile fantaisie, sa soif d’expérimentation mais aussi une maîtrise du contrepoint d’ores et déjà exceptionnelle sont ici mises à contribution. Bach conçoit sa Cantate tel un voyage spirituel et musical. C’est tout d’abord la basse qui nous invite à nous engager sur le chemin de la foi (nº 2); puis, le long de ce chemin et de part et d’autre de l’air de soprano vénérant la pierre de la foi (nº 4), prend place une sévère admonestation en forme de mise en garde du destin à propos du «monde mauvais» tandis qu’il «trébuche [contre la pierre] et tombe dans les enfers» (nº 3), ainsi qu’une dénonciation de la sagesse du monde, laquelle n’est pas à même de sonder les intentions divines (nº 5). En regard de la foi, la raison n’a ni pouvoir de conviction ni force. Le cœur a besoin de se tourner vers la sainte unité, que Bach symbolise par la convergence de ses quatre instruments choisis, en guise de repoussoir au dialogue entre Jésus et l’Âme. Parvenir à un équilibre convaincant entre, d’un côté, la mélodie pleine d’allant et proche d’une gigue des quatre instruments et, de l’autre, l’espace nécessaire aux lignes vocales pour contenir le texte constitue l’un des défis interprétatifs de cette intrigante Cantate, joyau faisant partie de ces pages précieuses des dernières années de Bach à Weimar (1714-1717) parvenues jusqu’à nous. Qui cependant, du temps de Bach, connaissait réellement ces œuvres nouvelles en dehors du cercle immédiat de la cour? Ses pairs ainsi que ses contemporains voyaient en lui avant tout un organiste virtuose, ensuite seulement un compositeur de musique instrumentale. Il est difficile de savoir précisément ce qu’ils manquaient ou encore combien d’autres œuvres vocales de ces années sont aujourd’hui perdues pour nous—peut-être plus de 50%? L’explication la plus probable serait qu’elles furent confisquées par l’acariâtre duc de Weimar lorsqu’il fit fermer la porte de la tribune d’orgue où Bach conservait ses partitions, le jetant en prison un mois avant qu’il ne quitte son service. Une même injonction à rendre grâces à Dieu pour toutes les bonnes choses vécues dans le cours de l’année constitue le cœur de la Cantate que Bach composa un an plus tard, dans le cadre de son troisième cycle de Leipzig: Gottlob! nun geht das Jahr zu Ende («Dieu soit loué! or l’année touche à sa fin»), BWV28, titre approprié pour résumer le parallèle entre perte et accomplissement, soulagement et regret au sein de la communauté à la toute fin d’une année ayant apporté son lot d’expériences influant sur le cours de la vie. La Cantate débute tel un fougueux mouvement de type concerto déployant hautbois et cordes supérieures par chœurs, toile de fond à l’appel du soprano, dont l’esprit évoque la danse, en forme de chant d’action de grâces. Ce chant de remerciements (Danklied) n’est autre que le motet «Nun lob, mein Seel, den Herren» («Or exalte, mon âme, le Seigneur»), que j’avais appris à l’âge de sept ans, chantant comme dessus dans le chœur d’une école allemande durant l’été, laquelle était dirigée par un chef de chœur autrefois célèbre, Georg Goetsch (1895-1956), alors très fragilisé. Nous le chantâmes tous les jours durant une semaine, et il me semble que cela devait profondément m’ennuyer; un demi-siècle plus tard, je me suis pourtant senti galvanisé par la sobriété et la complexité de son stile antico, ses trésors enfouis et ses subtilités, ceux en particulier qui surgissent tout au long des cinquante dernières mesures de la pièce, donnant le sentiment qu’un immense affrontement cosmique se produit. Je crains que le chœur ne se soit lui aussi ennuyé durant les répétitions; mais en concert, alors que cordes, hautbois, cornetto et sacqueboutes doublaient les lignes vocales, ils se montrèrent à la hauteur de cet avant-dernier Te Deum laudamus du Pèlerinage. J’ai trouvé cela très émouvant. Après ce grand chœur, les autres mouvements ne pouvaient que faire l’effet d’une sorte d’antisommet d’intensité. Bien que l’accompagnato de ténor (nº 4) et le duo en imitation pour alto et ténor (nº 5) soient indéniablement remarquables, c’est toutefois le choral de conclusion qui produit la plus forte impression. L’hymne pour le Nouvel An de Paul Eber «Helft mir Gotts Güte preisen» («Aidez-moi à rendre grâce à la bonté de Dieu») avait surgi à différentes reprises dans le cours de l’année, mais jamais de façon aussi puissante ou émouvante que dans l’harmonisation proposée par Bach dans cette prière demandant protection et subsistance pour l’année à venir. À bien des égards, il semblait approprié de terminer notre pèlerinage ici, à New York, dans la neige et au tournant de l’année. N’importe où en Allemagne, cela aurait semblé relever de la redondance, invitant à une comparaison avec Weimar où nous nous étions mis en marche à Noël de l’année précédente. N’importe où en Angleterre, les gens auraient été enclins à se réunir autour de l’arbre de Noël ou à rester devant leur télévision. Ici, par contre, nous nous trouvions confrontés à un public nouveau, gagné aux prodigieuses Cantates de Bach à travers le défi relevé par une équipe de pèlerins triés sur le volet ayant enduré les vicissitudes du voyage et qui, par le biais d’un contact intensif avec cette musique durant une année entière, avait à titre individuel et collectif progressé à pas de géant. La musique avec laquelle nous avions mené ce corps à corps se révèle techniquement exigeante: exercice bien souvent de corde raide, elle demande une précision, une souplesse et une virtuosité phénoménales en même temps qu’une attention extrême portée aux musiciens qui vous entourent. Tout cela exige que l’on s’immerge dans un idiome spécifique, et il faut bon nombre de «miles Bach» au compteur avant de se sentir capable d’interpréter ces Cantates avec relativement d’aisance et une pleine conviction. Ce ne fut nulle part plus flagrant que dans l’œuvre ultime de notre grand périple. Composée pour le Jour de l’An 1724, la Cantate Singet dem Herrn ein neues Lied! («Chantez au Seigneur un chant nouveau»), BWV190, nous est parvenue sous forme fragmentaire, tout au moins pour ses deux premiers mouvements, dont seules les lignes vocales et les deux parties de violon ont survécu. Toutes les autres parties orchestrales ont dû être reconstituées. Diverses tentatives ont été proposées et publiées, aucune n’étant pleinement convaincante, certaines même guère idiomatiques. Du moins est-il possible d’extrapoler l’instrumentation voulue par Bach pour le mouvement d’introduction de l’instrumentation conservée pour le choral final. Tout le monde se mit au travail, nos deux talentueux claviéristes, Howard Moody et Silas Standage, se chargeant sans difficulté aucune de remplir les parties de basse figurée. Nous mîmes à profit le temps jusqu’au tout dernier moment des répétitions pour affiner de nouvelles lignes instrumentales pour les trois hautbois, les trois trompettes et les timbales. Avec plus de temps et de talent, sans doute aurions-nous fait un meilleur travail, mais lorsque vint le moment de donner l’œuvre, tous, chanteurs et instrumentistes, semblèrent pleinement se concentrer sur la transmission de la joie et de l’esprit de fête si communicatifs de cette page exubérante dédiée à la nouvelle année. Le fait que le texte du psaume soit quasiment identique à celui du motet que nous avions chanté en début de programme ne fit bien sûr que donner plus de piquant. Entre les versets du psaume, Bach insère deux lignes empruntées à la version de Luther en langue vernaculaire du Te Deum (1529), qu’il assigne au traditionnel plain-chant liturgique restitué en notes longues par le chœur en octaves, technique musicale donnant infiniment de relief dans laquelle il était passé maître et qui, en concert, en impose de splendide manière. Le texte de Luther reparaît, cette fois harmonisé, dans le deuxième mouvement de type litanie, avec des interpolations récitatives en forme de «tropes» pour, successivement, la basse soliste, le ténor et l’alto. S’ensuit un air d’alto (nº 3), proche de la danse et sur mètre ternaire, auquel nous avons ajouté les trois hautbois pour doubler les lignes homophoniques des cordes, comme semblait y inviter l’origine sans doute profane de ce mouvement évoquant un fandango. Mais le meilleur, dans tous ces mouvements, reste le tendre duo pour ténor et basse «Jesus soll mein alles sein» («Jésus doit être mien tout entier»). Un nouveau problème se pose ici: les sources ne donnent aucune indication quant à l’instrument auquel Bach voulait confier le ravissant obbligato, lequel ne partage que la phrase initiale, entendue pas moins de six fois, avec les parties vocales; il est pour le reste constitué d’enchaînements mélancoliques, mouvements en forme d’arabesques rebondissant sur un temps fort à vide. Nous avons essayé avec un hautbois d’amour puis avec un violon, mais la tessiture se révéla inconfortablement grave pour l’un et l’autre instruments. Puis, me souvenant de la viole d’amour requise par la Cantate BWV152, j’ai demandé à Katherine McGillivray si elle voulait bien essayer. De prime abord elle hésita: son instrument était accordé à la = 392, ce qui impliquait soit de jouer en mi bémol majeur (sans cordes à vide), soit de remonter l’accord. Mais lorsque vint le moment du concert, accompagnée par sa soeur Alistair au violoncelle, Katherine réussit à suggérer très exactement le climat méditatif et élégiaque requis par ce touchant duo, chanté avec une sobriété et une maîtrise étonnantes par James Gilchrist et Peter Harvey. À la fin, je n’hésitai pas un instant à choisir ce mouvement pour notre (second) bis. De sorte que la toute dernière note de notre Pèlerinage de Cantates, alors que tout un chacun était sous le choc et luttait pour retenir ses larmes, furent celles, d’une envoûtante beauté, de la viola d’amore de Katherine. La lecture de l’Évangile pour le Jour de l’An (Luc, 2, 21) mettant l’accent sur la circoncision et le choix du nom de Jésus, chaque ligne de ce duo commence sur le mot «Jesus». De nouveau l’intention de Bach est explicite: attirer l’attention sur l’espoir eschatologique du croyant d’achever sa vie, ainsi qu’il commence et termine l’année, avec le nom de «Jésus» sur les lèvres. Tout comme dans nombre de ses Cantates composées pour d’autres moments essentiels de l’année liturgique—Annonciation (BWV1), Pâques (BWV31) ou encore le début (BWV75, 76 & 20) et la conclusion (BWV60 & 70) du cycle faisant suite à la Trinité—Bach insiste particulièrement ici, à l’occasion du tournant de l’année, sur la trajectoire cyclique de la vie, l’inévitable progression depuis le commencement jusqu’à la fin. Dans le duo, c’est ce qui soustend la référence à la Passion à venir du Christ—«Jésus m’aide à travers son sang»—, une ombre passant sur la musique pour s’éclaircir de nouveau sur la dernière ligne seulement—«Jésus m’assure une bonne fin». Ainsi qu’Eric Chafe l’a relevé, l’acceptation du cycle de la vie et de la mort est la réponse la plus naturelle et la plus inévitable à l’existence. En commençant et en refermant sa Cantate pour le Jour de l’An dans le ton de ré majeur, Bach fait appel au symbole le plus aisément audible pour établir une solide structure, base sur laquelle l’auditeur peut mesurer les événements chaotiques et les troubles de l’année qui se referme mais aussi de celle qui est sur le point de commencer. C’est sans doute également la raison pour laquelle (comme dans deux de ses autres Cantates pour le Jour de l’An) il choisit de finir sur un vers du choral de Johannes Herman «Jesu, nun sein gepreiset» («Jésus, sois maintenant glorifié»). Avec ses quatorze vers, cette hymne est le symbole parfait de l’espace séparant l’Alpha de l’Omega, le voyage du commencement jusqu’à la fin et son recommencement à ce moment précis du tournant de l’année. Unsere wöchentlichen Vorbereitungen auf die Aufführung dieser einzigartigen Werke, ein Arbeitsrhythmus, den wir ein ganzes Jahr lang beibehielten, waren von verschiedenen Faktoren beeinflusst: Zeit (nie genug), Geographie (zunächst Spurensuche auf den Wegen Bachs in Thüringen und Sachsen), Architektur (die Kirchen, berühmte und weniger bekannte, in denen wir auftraten), der Einfluss der Musik einer Woche auf die nächste und die verschiedenen Veränderungen unter den Mitwirkenden, wenn Spieler und Sänger sich neu oder erneut der Pilgerreise anschlossen, und zwangsläufig auch die Unwägbarkeiten des Wetters, der Reise und unsere Müdigkeit. Wir sahen uns jede Woche neuen Herausforderungen gegenüber, und jede Woche bemühten wir uns, sie zu bewältigen, den Blick auf die praktische wie auf die theoretische Seite gerichtet. Zuweilen mussten wir Kompromisse eingehen, um den Launen des Kirchenjahres zu begegnen (Ostern fiel 2000 ungewöhnlich spät, und das bedeutete, dass für die Kantaten der späten Sonntage nach Trinitatis der Platz knapp wurde und sie in anderen Programmen untergebracht werden mussten). Und wenn wir an einem Abend Kantaten gemeinsam aufführen wollten, die Bach über einen Zeitraum von über vierzig Jahren für den gleichen Tag komponiert hatte, mussten wir uns bei jedem Programm für einen einzigen Stimmton (A = 415) entscheiden, weshalb die frühen Weimarer Kantaten, die den hohen Orgelton zugrunde legten, in der transponierten Fassung aufzuführen waren, die Bach für ihre—tatsächliche oder vermeintliche—Wiederaufführung in Leipzig vorgesehen hatte. Obwohl wir Reinhold Kubik mit einer neuen Edition der Kantaten beauftragt hatten, in der die jüngsten Quellenfunde berücksichtigt wurden, blieben hinsichtlich Instrumentierung, Tonlage, Bass figuration, Stimmtypen, Textzuordnung usw. noch viele praktische Entscheidungen zu treffen. Auch den Luxus wiederholter Aufführungen, in denen wir verschiedene Lösungen hätten ausprobieren können, hatten wir nicht. Kaum war ein Feiertag vorbei, rückten die drei oder vier Kantaten, die wir aufgeführt hatten, in den Hintergrund, und schon hatten uns die nächsten im Griff—was in der Zeit um die hohen Feiertage wie Pfingsten, Weihnachten und Ostern ins Uferlose geriet. Die Aufnahmen in dieser Folge sind ein Nebenprodukt der Konzerte, nicht ihre raison d’être. Sie sind getreue Dokumente der Pilgerreise, waren jedoch nie als endgültige stilistische oder musikwissenschaftliche Statements gedacht. Jedem der Konzerte, die wir aufgenommen haben, war ein „Take“ der Generalprobe in der leeren Kirche voraus gegangen, das uns gegen Störfaktoren wie Außenlärm, lautes Husten, Zwischenfälle oder wettermäßige Beeinträchtigungen während der Aufführung rückversichern sollte. Aber die Musik dieser Einspielungen ist insofern sehr „live“, als sie genau wiedergibt, was an dem betreffenden Abend vor sich ging, wie die Ausführenden auf die Musik ansprachen (die für sie zuweilen vollkommen neu war) und wie der jeweilige Ort, wo sich die Kirche befand, und das Publikum unsere Reaktionen beeinflussten. Diese Serie ist eine Würdigung der erstaunlichen Musikalität und des Talentes aller beteiligten Spieler und Sänger und natürlich des Genies J. S. Bachs. Manhattan war zauberhaft, nachdem es dort zum ersten Mal seit sieben Jahren ausgiebig geschneit hatte. Es war Silvester, und in der Park Avenue bogen sich die Äste der festlich erleuchteten Bäume unter der Last des Schnees. Bachs großartige doppelchörige Motette Singet dem Herrn (BWV225), die das 59. und abschließende Programm unserer Pilgerreise eröffnete, spricht von dem schneidenden Wind, der das Gras welken lassen und das Leben auslöschen kann—draußen waren die Temperaturen auf minus zehn Grad gefallen. Außerdem ist es die Jahreszeit, wenn in den Pflanzen das Wachstum zum Stillstand zu kommen pflegt. Hier gibt es eine direkte Parallele zum religiösen (und nicht nur christlichen) Glauben, der diese dunkelste Phase in der Mitte des Winters als einen Zeitraum auffasst, in dem das Leben ruhiger abläuft und der Mensch Gelegenheit erhält, über die grundlegenden Geheimnisse seiner Existenz nachzudenken. Bach fängt diese Atmosphäre auf sehr eindringliche Weise in dem besinnlichen Mittelteil seiner Motette ein. Die Stimmung in der bis auf den letzten Platz gefüllten Kirche St Bartholomew war einzigartig, das Publikum hingerissen und glücklicherweise ohne störende Huster. Chor und Orchester wirkten fragil und euphorisch in einer merkwürdigen Mischung, so als hätte die riesige Anstrengung, zur letzten Station der Reise zu gelangen, alle aufgestauten Gefühle an die Oberfläche gebracht. Die Spannung löste sich, als die munteren, fröhlichen äußeren Abschnitte von Singet dem Herrn gesungen wurden, in denen deutlich zum Ausdruck kommt, dass das Lied „neu“ ist. Das Engagement, die Freude und Begeisterung und das Gemeinschaftsgefühl zwischen Sängern und Instrumentalisten waren deutlich zu spüren, der Höhepunkt eines Unternehmens, das sich über ein ganzes Jahr erstreckt, neue Freundschaften hervorgebracht und durch gemeinsame Erlebnisse gefestigt hatte. Edward Said sagte mir hinterher, die Aufführung der Motette sei für ihn die Krönung des Abends gewesen. Für andere allerdings mag dieser Höhepunkt die erste Kantate gewesen sein, die wir aufführten, BWV152 Tritt auf die Glaubensbahn. Wirklich ein kleines Wunder ist dieses intime Kammermusikstück für gerade einmal zwei Sänger (Sopran und Bass) und sechs Instrumente (Blockflöte, Oboe, Viola d’amore und Viola da gamba, dazu Cello- und Orgelcontinuo), denen wir in den Ecksätzen ein siebentes Instrument (Cembalo) hinzufügten. Die für den Sonntag nach Weihnachten vorgesehene lutherische Liturgie distanziert sich von der Stimmung der Inkarnation und verweist auf die kommende Passionszeit mit Christi Kreuzigung und Tod. Der von Salomo Franck verfasste Text stellt Gegensätze einander gegenüber: Im Zentrum steht das Bild des Steins, des Ecksteins des Glaubens, den Gott durch Jesu Menschwerdung gelegt hat, der aber auch der Stolperstein ist, an dem sich die Menschen verletzen können. Bach hebt in seiner Vertonung diese Dualität immer wieder hervor, er verweist einerseits auf den Sündenfall der Menschheit und die Notwendigkeit spiritueller Erniedrigung, andererseits auf den Triumph des Glaubens und die Krone, die der Seele am Ende der „Glaubensbahn“ zuteil werden wird, nachdem sie „Trübsal und Schmach“ erduldet hat. Bereits im Vorspann, in den vier langsamen einleitenden Takten, die zu einer der schwungvollsten und (in Bachs Kantaten eine Seltenheit) rein instrumentalen Fugen führen, erkennen wir die Absicht des Komponisten, vier derart unterschiedliche Instrumente gegeneinander antreten zu lassen, und das Vergnügen, das es ihm bereitet, Klangfarben ineinander zu verweben. Bach bringt hier den Reichtum seiner jugendlichen Einfälle ins Spiel, lässt seiner Experimentierfreude freien Lauf und beweist, dass er den Kontrapunkt bereits hervorragend beherrscht. Seiner Kantate gibt er die Form einer spirituellen und musikalischen Reise. Zunächst werden wir vom Bass-Solisten aufgefordert, „auf die Glaubensbahn zu treten“ (Nr. 2); wenn wir dann unterwegs sind, erhalten wir beidseitig der Sopranarie, die dem Stein des Glaubens huldigt (Nr. 4), eindringliche Ermahnungen, werden vor dem Schicksal der „bösen Welt“ gewarnt, wenn diese „über ihn zur Höllen fällt“ (Nr. 3), und erfahren, dass „die größte Weisheit dieser Erden“ nichts wert sei (Nr. 5). Was Gott beschließt, lässt sich mit dem Verstand nicht begreifen und begründen. Im Glauben muss sich das Herz der heiligen Einheit zuwenden, von Bach symbolisiert durch die Annäherung der vier Instrumente, die für den Dialog zwischen Jesus und der Seele den Hintergrund schaffen. Ein überzeugendes Gleichgewicht zu erreichen zwischen der vorwärtsdrängenden, gigueähnlichen Melodie, die von den vier Instrumenten gespielt wird, und dem Raum, den die Gesangslinien für ihren Text benötigen, ist eine der großen Herausforderungen bei der Interpretation dieser faszinierenden Kantate, ein Juwel neben all den anderen wertvollen Werken, die aus Bachs späten Weimarer Jahren (1714-17) erhalten sind. Doch wer außerhalb der höfischen Kreise kannte zu Bachs Zeiten tatsächlich diese neuen Werke? In seinen Kreisen und unter seinen Zeitgenossen hatte er in erster Linie als Orgelvirtuose und dann als Komponist instrumentaler Musik einen Namen. Was entging ihnen, und wie viele andere Vokalwerke aus diesen Jahren sind für uns verloren—vielleicht mehr als die Hälfte? Die wahrscheinlichste Erklärung ist, dass der missgestimmte Weimarer Herzog sie beschlagnahmte, als er Bach einen Monat vor dessen Abreise in den Kerker warf und die Tür zu der Orgelempore, wo er seine Partituren aufbewahrte, abschloss. Eine ähnliche Aufforderung, Gott für all die Wohltaten zu danken, die dieser in dem zu Ende gegangenen Jahr den Menschen zuteil werden ließ, liegt der Kantate zugrunde, die Bach ein Jahr später als Teil seines dritten Leipziger Zyklus komponierte: BWV28 Gottlob! nun geht das Jahr zu Ende, ein Titel, der das Gefühl des Verlusts und der Erfüllung, der Erleichterung und des Bedauerns innerhalb der Gruppe am Ende dieses gemeinsam verbrachten Jahres, das unser Leben verändert hat, auf treffende Weise zusammenfasst. Die Kantate beginnt als beschwingter konzertartiger Satz im Wechsel zwischen Oboen und hohen Streichern, die zu dem tanzartigen Aufruf des Soprans, ein „frohes Danklied“ anzustimmen, die Kulisse liefern. Dieses „Danklied“ ist jene Motette „Nun lob, mein Seel, den Herren“, die ich als siebenjähriger Knabensopran in einer deutschen Sommerschule kennengelernt hatte, die von Georg Götsch, einem einst berühmten, damals sehr gebrechlichen Chordirigenten geleitet wurde. Wir sangen das Lied eine Woche lang jeden Tag, und ich glaube, es hat mich entsetzlich gelangweilt; doch jetzt, ein halbes Jahrhundert später, war ich schlagartig fasziniert von der Nüchternheit und Komplexität seines stile antico, seinen verborgenen Schätzen und Subtilitäten, vor allem in den letzten fünfzig Takten, wo sich das Gefühl einstellt, dort werde ein riesiger kosmischer Kampf ausgetragen. Ich fürchte, auch die Chorsänger dürften sich während der Proben gelangweilt haben; doch in der Aufführung, als die Gesangslinien durch Streicher, Oboen, Zink und Posaunen verdoppelt wurden, zeigten sie sich in diesem vorletzten Te Deum laudamus der Pilgerreise ihrer Aufgabe vollauf gewachsen. Ich fand es ungeheuer ergreifend. Nach diesem großartigen Chor vermitteln die übrigen Sätze zwangsläufig ein Gefühl der Ernüchterung. So schön das Tenor-Accompagnato (Nr. 4) und das Duett (Nr. 5), in dem Alt und Tenor einander imitieren, auch sein mögen, es ist der abschließende Choral, der am tiefsten beeindruckt. Paul Ebers Neujahrshymnus „Helft mir Gotts Güte preisen“ war uns während des Jahres schon verschiedene Male begegnet, aber nie auf eine so packende, eindringliche Weise wie in Bachs Harmonisierung dieses Gebets, das für das kommende Jahr Schutz und Beistand erfleht. In vielerlei Hinsicht hielten wir es für angebracht, unsere Pilgerreise hier in New York im Schnee und auf dem Scheitelpunkt der Jahreswende zu beenden. An allen anderen Orten wo auch immer in Deutschland hätte unsere Aufführung wie eine Wiederholung gewirkt, hätte zu Vergleichen mit Weimar herausgefordert, von wo aus wir uns Weihnachten ein Jahr zuvor auf den Weg gemacht hatten. Wo auch immer in Großbritannien hätten die Leute wohl lieber zu Hause um den Weihnachtsbaum oder vor dem Fernseher gesessen. Hier hingegen gab es ein neues Publikum, das sich für Bachs wunderbare Kantaten hatte gewinnen lassen—eine Herausforderung, der sich diese sorgsam ausgewählte, von der Reise gestählte Truppe aus Pilgern stellte, die sich ein Jahr lang intensiv mit dieser Musik befasst und einzeln und gemeinsam so eindrucksvolle Fortschritte gemacht hatten. Diese Musik, mit der wir uns ein Jahr lang geplagt hatten, ist technisch anspruchvoll; sie auszuführen, kommt häufig einem Hochseilakt gleich, der neben unglaublicher Präzision, Flexibilität und Virtuosität auch Aufgeschlossenheit gegenüber den Musikerkollegen erfordert. Sie verlangt von den Ausführenden, dass sie sich völlig in dieses Idiom versenken, viele „Bach-Kilometer“ auf ihrem Zähler haben müssen, bevor sie sich imstande fühlen, diese Kantaten relativ ungezwungen und überzeugend aufzuführen. Nirgendwo war das deutlicher zu spüren als in der Kantate, mit der unsere Reise endete. BWV190 Singet dem Herrn ein neues Lied!, für den Neujahrstag 1724 komponiert, ist nur in Fragmenten überliefert, zumindest was die ersten beiden Sätze betrifft, von denen lediglich die Gesangsstimmen und zwei Violinparts erhalten sind. Alle übrigen Orchesterstimmen müssen rekonstruiert werden. Verschiedene Vorschläge wurden veröffentlicht, keiner ist völlig überzeugend, manche sind nicht sehr idiomatisch. Immerhin besteht die Möglichkeit, die Instrumentierung, die Bach für den Kopfsatz vorgesehen hatte, aus der noch vorhandenen Partitur des abschließenden Chorals zu erschließen. Alle machten sich an die Arbeit, dem Beispiel unserer beiden brillanten Cembalo- und Orgelspieler folgend, Howard Moody und Silas Standage, die mit möglichst geringem Aufwand die bezifferten Basslinien einfügten. In den Proben passten wir bis zum allerletzten Augenblick neue Parts für die drei Oboen, drei Trompeten und Pauken ein. Hätten wir mehr Zeit gehabt und wären wir geschickter gewesen, wäre uns das sicher besser gelungen, aber als es dann zur Aufführung kam, schienen alle Sänger und Spieler darauf bedacht, das Publikum an der Freude und Festlichkeit dieses übersprudelnden Neujahrsstückes teilhaben zu lassen. Und der Psalmtext, der mit dem Text der Motette, die wir zu Beginn unseres Programms gesungen hatten, nahezu identisch war, gab ihm eine weitere Würze. Zwischen den Psalmversen hat Bach zwei Zeilen aus Luthers weltlicher Fassung des Te Deum (1529) eingefügt. Diese weist er dem liturgisch überlieferten gregorianischen Choral zu, der vom Chor in langen Noten oktavierend vorgetragen wird, eine weitere Technik musikalischer Abwechslung, die er meisterhaft beherrschte—und die in der Aufführung ungemein imposant wirkt. Luthers Zeilen kehren, diesmal harmonisiert, in dem litaneiartigen zweiten Satz wieder, der „tropierte“ rezitativische Einschübe für die drei tiefen Solostimmen enthält. Der tanzartigen Aria im Dreiertakt für Alt (Nr. 3) haben wir zur Dopplung der homophonen Streicherlinien, die offensichtlich der weltlichen Verwendung dieses fandangoartigen Satzes entstammen, die drei Oboen hinzugefügt. Aber die Krönung all dieser Sätze ist das zärtliche Duett für Tenor und Bass „Jesus soll mein Alles sein“. Hier gibt es wieder ein Problem: Die Quellen bieten keine Anhaltspunkte, für welches Instrument Bach das hinreißende Obligato bestimmt haben könnte, das nur die Anfangsphrase, die nicht weniger als sechsmal zu hören ist, mit den Gesangsstimmen gemeinsam hat; der restliche Teil besteht aus Ketten versonnener Arabesken, die sich gestenreich aus dem Hauptrhythmus herauslösen. Wir haben ihn probeweise von der Oboe d’amore und dann von der Violine spielen lassen und fanden, dass er für beide Instrumente unbequem tief lag. Als uns die Viola d’amore einfiel, die Bach in BWV152 verlangt, fragte ich Katherine McGillivray, ob vielleicht sie es probieren würde. Sie hatte zunächst Bedenken: Ihr Instrument war auf A = 392 gestimmt, und das würde bedeuten, dass sie entweder in Es-Dur (ohne offene Saiten) zu spielen hätte oder es höher stimmen müsste. Doch als es dann zum Konzert kam, fand Katherine, von ihrer Schwester Alison auf dem Cello begeleitet, für dieses bewegende, von James Gilchrist und Peter Harvey erstaunlich besonnen und beherrscht gesungene Duett genau die richtige meditative und elegische Stimmung. Schließlich stand für mich außer Frage, dass dieser Satz unsere (zweite) Zugabe sein würde. So kamen die allerletzen Noten unserer Kantatenpilgerreise von Katherines unvergesslich schönen Viola d’amore—während alle einen Kloß im Hals hatten und mit den Tränen kämpften. Da im Evangelium für den Neujahrstag (Lukas 2, 21) von der Beschneidung die Rede ist und Jesus seinen Namen erhält, beginnt jede Zeile dieses Duetts mit dem Wort „Jesus“. Bachs Absicht ist klar: Er will die Aufmerksamkeit auf die über das Irdische hinausweisende Hoffnung der Gläubigen lenken, ihr Leben so zu beenden, wie sie das Jahr beginnen und beschließen, mit dem Namen „Jesus“ auf den Lippen. So wie es Bach in vielen seiner Kantaten handhabte, die er für andere Höhepunkte im Kirchenjahr geschrieben hatte—Verkündigung (BWV1), Ostern (BWV31), die ersten beiden Sonntage (BWV75, 76 und 20) und die letzten Sonntage (BWV60 und 70) nach Trinitatis—, legt er hier, an der Jahreswende, besonderes Gewicht auf den zyklischen Verlauf des Lebens, die zwangsläufige Bewegung vom Anfang auf das Ende zu. „Jesus hilft mir durch sein Blut“, diese Botschaft ist es, die in dem Duett den Verweis auf die Leidenszeit begründet, die Jesu bevorsteht. Ein Schatten legt sich über die Musik und hellt sich erst in der letzten Zeile wieder auf: „Jesus macht mein Ende gut“. Wie Eric Chafe bemerkte, war und ist die Akzeptanz des Kreislaufs von Leben und Tod die natürlichste und unvermeidliche Reaktion des Menschen auf seine Existenz. Bach lässt diese Neujahrskantate in der Tonart D-Dur beginnen und enden. Um die Störungen und Ereignisse, die im vergangenen Jahr Stolpersteine boten und straucheln ließen, und das Jahr, das nun beginnen wird, in einen stabilen Rahmen zu stellen, bedient er sich eines Symbols, das sich dem Ohr am leichtesten erschließt. Zweifellos war das auch der Grund (wie bei den anderen Kantaten für den Neujahrstag), warum er das Werk mit einem Vers aus Johann Hermans Choral „Jesu, nun sei gepreiset“ beendete. Mit seinen vierzehn Zeilen ist dieser Choral das perfekte Symbol für die Spanne von Alpha bis Omega, für die Reise vom Anfang bis zum Ende und für den Neubeginn zur Jahreswende. Our Christmas in New York was the first time the pilgrimage had moved outside Europe. No ghosts of the master here, unlike the old towns and cities we had played where Bach himself had lived and worked. The snow and glitz provided a relaxing antidote to the depth and intensity of our music making. I was travelling with my wife and two very young children, and the practical implications were a constant reminder of Bach’s own domestic situation, with numerous children and a job in which he not only played, but wrote the music too! Being surrounded by my own children helped me connect with the images of awe and wonder that pervade the texts of these Christmas Cantatas. The concerts in New York brought us full circle, back to Bach’s Christmas music. It had been a huge musical and physical journey since the first pilgrimage concerts in Weimar exactly a year earlier and for me it had become almost an obsession to be part of as much of the pilgrimage as possible, relishing the unique opportunity to get inside such extraordinary music. Musically, there was a real sense that by this point in the pilgrimage both orchestra and choir were speaking exactly the same language. It felt as if we were carrying a new-found knowledge and inner experience of Bach’s music that was waiting to be shared by audiences. John Eliot’s passion for the music, texts and dramatic flow of each cantata had moulded us into a group where the musical ensemble and intention were on a radiant high. As with musicians of Bach’s time, who tended only to play contemporary music, we had been given an opportunity over the year to focus on a single set of stylistic demands, rather than covering the usual span of music from five centuries expected of so many musicians today. Playing keyboard continuo in the middle of this was thrilling, being the only section in the orchestra allowed to improvise freely (as Bach would have done himself) around the textures and feel of the music. The opportunity to be free amidst such structure and discipline is a rare privilege. A lasting memory of the New York concerts was the exquisite viola d’amore obbligato by Katherine McGillivray in Cantata 190. My ear had got used to Bach’s beautiful vocal lines, but at these moments in his cantatas, when voices and instruments become one, something unique happens. As the encored piece in the final concert, it was a fitting conclusion to a fabulous year of music making.